Kristian Rees has turned to the Gold Coast Premier League for his latest recruits adding Jason Campbell and Griffin Bambach to his 2019 squad. 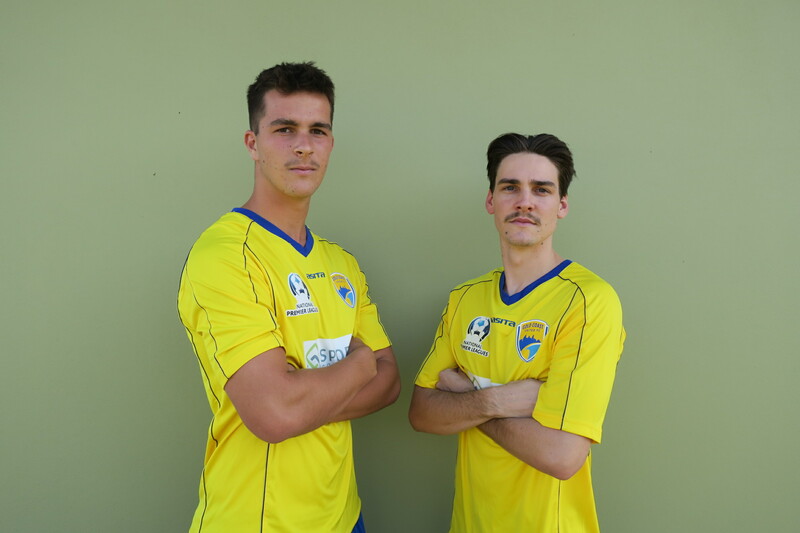 The experienced Campbell (21) plied his craft in the midfield for Palm Beach in the 2018 Gold Coast Premier League in 2018 while Bambach (19) had an impressive season between the sticks for Burleigh. Rees expects big things from both players knowing full well what talent they bring to his squad. “I spent some time playing with Jason at Palm Beach and Gold Coast City,” Rees confirmed. Rees watched both players perform for their respective clubs in 2018 and was particularly impressed by the Bulldog’s young shot-stopper. “I saw Griffin play during the Gold Coast league last season and he showed some great qualities. “He’s got really good feet for a big man which is crucial for today’s modern goalkeepers. The signing of Campbell and Bambach underlines Rees’ approach of giving the best young local talent an opportunity to shine alongside the core of experienced players already signed for season 2019. The signings also emphasize the importance being placed by United’s coach on getting his defensive stocks in order with both players that way inclined, although Campbell can pick a decisive penetrating pass and does like to get forward when the time is right. Bambach, from Byron Bay, was an outfielder as a junior but these days the 6’4” keeper seldom ventures further than his 18 yard box, although his ability to play with his feet is certainly an attractive attribute. Like Bambach, Jason Campbell is a Northern Rivers product, growing up in Alstonville. Jason has previous NPL experience making 17 appearances for Palm Beach / Gold Coast City, so he knows what’s required at this level and is ready to take his game to another level. “I really want to push myself,” Campbell insists. For Bambach his goals are simple. It’s been somewhat of a meteoric rise for the young gloveman who was playing for the Byron Bay Rams up until recently and now finds himself about to play in Australia’s second tier football competition. A move to the Burleigh Bulldogs saw him link with Colin Phelan who has had a big influence on Bambach signing for United. “I was talking to him a lot about wanting NPL football and he really pushed me throughout the season to get me to where I needed to be. Bambach’s not overly familiar with all of his teammates as yet but did face off against some in 2018. “I’ve played against a few over the years and I’ve always rated them highly. Rees now turns his attentions to locking in some attacking players with a solid defensive foundation taking shape.